A couple of my relatives posed an interesting question to me the other day and I realized it had a complex answer that wasn't easy for me to explain over the phone. I thought a blog post might be just the thing since I could easily provide pictures and tables without worrying about what their email client does. They live in the LA area and have some American Airlines miles accumulated and, more recently, Chase Ultimate Rewards points which they can transfer to airlines because they have a Chase Sapphire Preferred card. Since I was the one who convinced them to get the Sapphire Preferred card in the first place, naturally, they asked me how to use those points since they were mostly familiar with using American Airlines miles for redemptions. I recommended Chase Sapphire Preferred because Chase Ultimate Rewards (UR) points do not transfer to American, but instead transfer to United, Avios (British Airways), Korean Air, and Southwest. This allows them to diversify their miles to provide some more options when American isn't the best deal or isn't flying at the best times for them. The best part is that by redeeming Avios points through British Airways for domestic flights, they can get an American Airlines (oneworld alliance) or Alaska Airline (partner) award if they need it. The easiest way to redeem Chase UR points is to simply buy a ticket through them. Each point is worth 1.25 cents (20% off travel redemptions means if you needed 12,500 points to get $125 of travel benefits, then you only need 10,000 points; so each point is worth 1.25 cents). This is actually not a great redemption unless you happen to have a lot of points and not much cash. By transferring the points to an airline program, you can get much better value per point. My relatives had mentioned they were thinking of visiting Alaska at some point. What was the best way to use the points that they had in this scenario? I assumed they would want to go at the beginning of the season, just when the parks are opening up but before the full summer rush of peak season - around June 1 to 15. 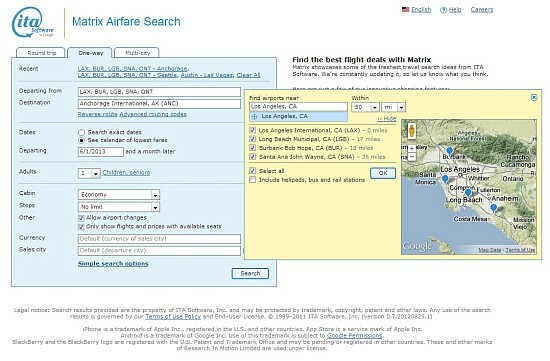 My first step was to go to ITA Software's Matrix Search (http://matrix.itasoftware.com/search.htm) and see what flights were available and at what price. I performed a search based on all the airports in the LA area with the destination set to Anchorage. It looked like lowest cost one-way flight would run roughly $165 to 219 per person. With relatively cheap flights like these (less than $250 one-way), it's not easy to get a great award redemption, but try we must! In general, when I do a search and travel dates are flexible, I look at all the flights, but for the sake of this tutorial, I'm drilling down to one of the flights that isn't the lowest cost (and isn't the highest cost). I'll choose one of the $175 flight days… let's do Wednesday June 12 and see what we find. 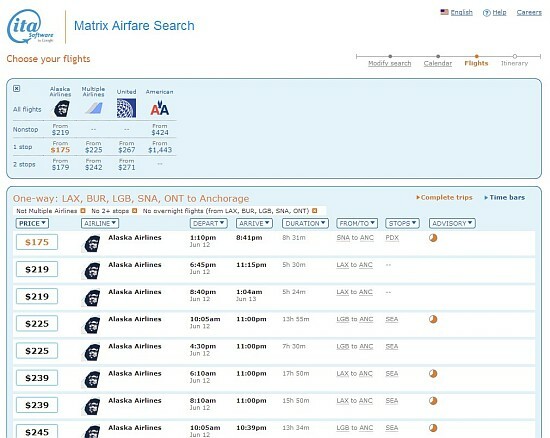 It looks like all the lower cost flights are Alaska Airlines with two non-stops from LAX at $219. They arrive a bit late, but they are the only non-stops Alaska offers. 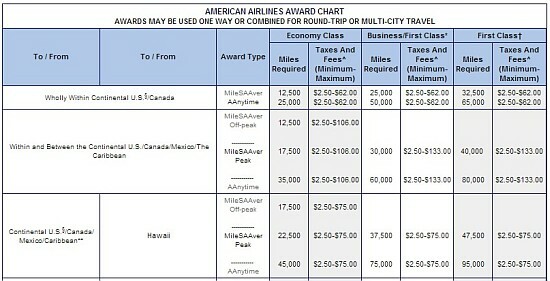 American has two non-stop flights from the LA area to ANC but they are priced at $424. The times are the same and if you drill down to the details, it is the same two physical flights from Alaska Airlines. It turns out that the distance from LAX to ANC is 2345 miles which means it would cost 12,500 Avios points to redeem this flight on Alaska Airlines. (Note, this flight isn't currently available for booking online at the British Airways website - you have to call in to make a redemption on Alaska which is a British Airways partner but not part of Oneworld Alliance.) The value of the points used in this manner would come out to 1.75 cents per point. Choosing between this option and American Airlines is a toss up as both are reasonable redemptions (not bad, but not great). If they had an overabundance of UR points, then I'd transfer to Avios and use that. If they have a lot of AA miles, then I'd use AA. Or, I would choose to just pay for the flight and earn more miles. But, that's not the end of the story! There's one more non-stop option that I could think of. 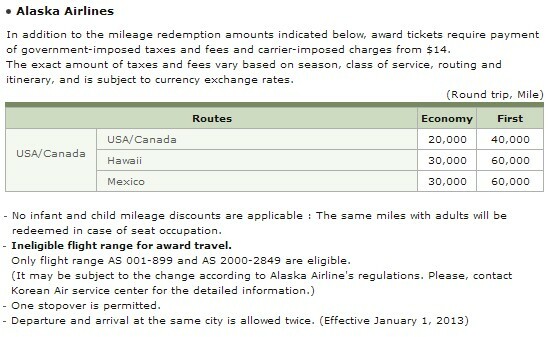 UR points are also transferable to Korean Airlines and Korean Airlines is a transfer partner with Alaska! That's probably it for non-stop options, but what if they were okay with having a layover somewhere? 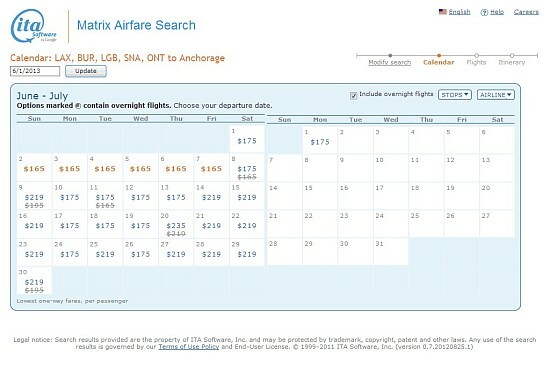 Alaska has flights to ANC through SEA from LAX ($239), LGB ($225), ONT ($257), and BUR ($267). They also run flights to ANC through PDX (Portland) from LAX ($259) and SNA ($175). 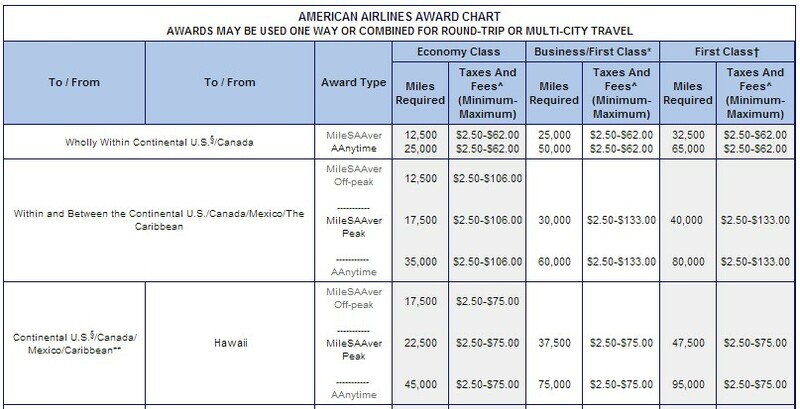 Since all of these options are more expensive than the non-stop flight (except the SNA-PDX-ANC), they are all redemptions where the per points value is greater than 1.75 cents per mile if booked through AA or greater than 2.19 cents per mile if booked through Korean Airlines. I would choose one of these only if the timing worked out better than the non-stop. The SNA-PDX-ANC would also be a possibility, but would be a lower value redemption and I might consider just paying that with cash instead if that was the better flight (in terms of time of departure, layover time, and arrival time). Avios needs to be recalculated as they are distance based per segment, so each stop counts as a redemption. If they preferred one of the United flights, let's say one that cost $321, then they would need to transfer 12,500 UR points to their United account and book the United flight with their new United miles. 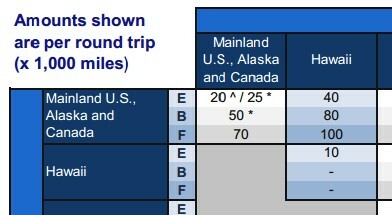 This example would set the points redeemed at a value of 2.56 cents per mile - a great monetary value per point - but would end up using more points than if they had gone with the Korean Airline redemption on Alaska Airlines. Remember, the value of the points isn't just the monetary redemption value, but must also take into consideration alternative flights. If they greatly preferred the shorter layover and flight times of United, then this redemption is a no brainer - use a few more points (actually the same number of miles they would have used with American) to get the flight that works better in their schedule. While going over these particular options, I noticed another opportunity that could be investigated. If you look at the redemption table for Korean Airlines, it states "One stopover is permitted" which means if we have one or more layovers on the flight we can convert one of them to a stopover. For example, if they chose to take a return flight (or outgoing flight) that had a layover in SEA or PDX, they could set up the outgoing flight from Seattle or Portland to be one or more days later than they arrived. (For example, normally a layover is a stop that is a few hours and leaves the same day - fly in on the 12th, fly out on the 12th to continue to your destination. However, a stopover is a stay of one day or longer [usually up to 355 days], so they could fly in on the 12th and continue to their destination 5 days later.) This enables the option of a second destination in their vacation without additional flight costs! 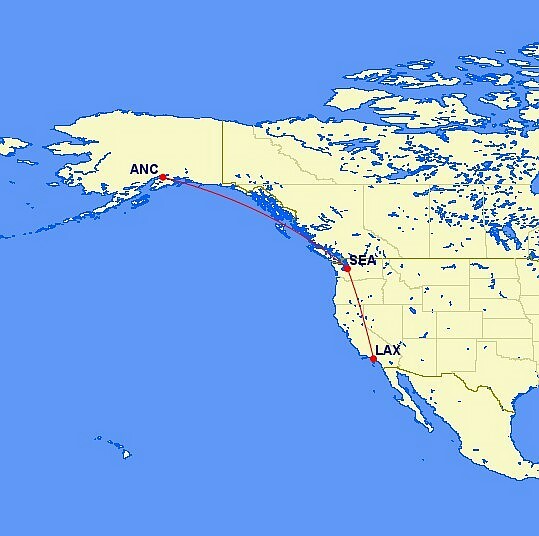 Usually, flying from LAX to SEA is considered one award redemption and flying from SEA to ANC would be another. Here, they can do the stopover without a second redemption! United also allows a stopover but only if you redeem 10,000 additional miles. I didn't check the American rules. Another option when making a layover is breaking it up into two tickets. For example, it's only $119 to fly from SEA to ANC on Alaska Airlines, so you could redeem 7,500 points to fly from LAX to SEA and then pay $119 to fly SEA to ANC, thus saving some points. However, in this example, it's not a good redemption as that flight would have cost $239, so the LAX to SEA was effectively worth $120 making the points used valued at 1.6 cents each. I wouldn't use this option unless I only had a few thousand Avios points and wanted to burn them. Even then, I would probably just fly to San Francisco and enjoy the City or Napa instead. Also, having flights on separate bookings can be a little risky if the first flight is delayed. When they are on the same itinerary, the airline handles rebooking if there's a delay. If they are separate, you're usually on your own (which is when the Chase Sapphire Preferred travel concierge can really help out - just call the number on the back of the card and someone picks up to help within one or two rings). So, after looking at all these options, it appears the best choice would be to use 20,000 Ultimate Rewards points per person to book round trip tickets on Alaska Airlines through Korean Airlines. They'd have to set up a Korean Airlines loyalty program membership, then go to Chase Ultimate Rewards and transfer the necessary amount of points (40,000 in this case) to their Korean Airline account. This usually takes just a few minutes (but on occasion it can be delayed by as much as a day). Most other programs don't transfer this fast, but Chase has done a good job getting their transfers to move quickly. Before doing all of that, they should first confirm availability on Alaska Airlines for award seats on the dates they want (otherwise, if they transfer points to Korean and can't get the seats, then the points are stuck in Korean Airlines). They can do that by trying to book the seats through Alaska's loyalty program or American Airlines' program (AA's website is able to search and book Alaska reward flights!). Alternatively, they can try booking through Korean Airlines and putting the reward on hold while they transfer the points over (this probably requires calling Korean Airlines).